Gloria Pualani is the Corporate Director of Northrop Grumman’s Global Supplier Diversity Program and has been guiding this office since 2004. Prior to assuming this role, Gloria held other positions with increasing responsibilities within the procurement organization. 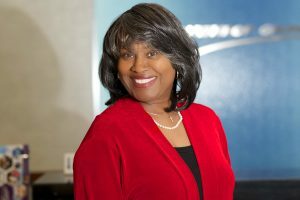 She leverages over 30 years of tangible experience in several disciplines to advocate for greater opportunities and exposure for Northrop Grumman’s diverse supply chain. The value of diversity and inclusion is a philosophy shared throughout Northrop Grumman. The Global Supplier Diversity team has the responsibility for implementing this important element of the company values through its supply chain. Northrop Grumman’s Global Supplier Diversity Program was launched in the early ‘80’s. One of its goals is to develop a strong foundation that assists in the implementation of new performance measures that track actual supplier diversity expenditures and reporting. The overall mission of the Global Supplier Diversity Program is to provide guidelines and strategic direction in the interpretation and implementation of the Federal government initiatives and public law mandates that governs minority and veteran participation. Simply put, Gloria is responsible for helping ensure that diverse suppliers (defined as Small, Small Disadvantaged, Women-owned, Historically Underutilized Business Zones, Veterans, Service-Disabled Veteran-owned, lesbian, gay, bisexual, transgender, disability owned, historically black colleges and universities, minority institutions, Alaska Native Corporations and Indian Tribes) not only have access to timely information on how to do business with Northrop Grumman, but also equal access to resources and opportunities to compete. The organization’s objective is to cultivate and maintain a diverse supply chain that provides optimal value to Northrop Grumman and its customers. 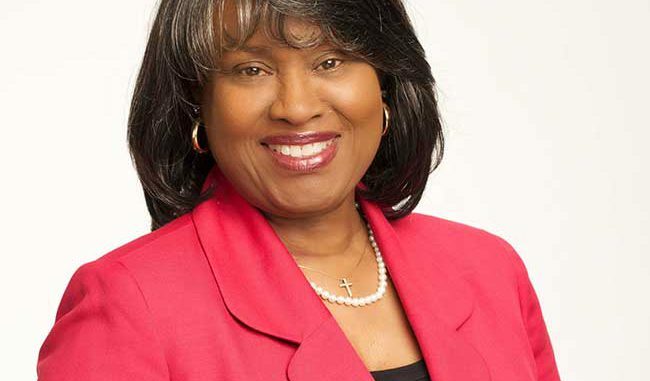 Gloria’s leadership and dedication to both the mission and vision has earned her a reputation as an outstanding advocate for small, women-owned and minority-owned businesses. In so doing, she, her organization and Northrop Grumman have received numerous awards and recognition for championing this cause. For example, Gloria was featured as one of the “Top 50 Women in Corporate Supplier Diversity for 2017” by WE USA Magazine, a print and digital publication supporting the national Women’s Business Enterprise (WBE) supplier development initiative. Throughout her career at Northrop Grumman, Gloria has helped shape the landscape by implementing key internal and external program initiatives that have opened the doors of opportunities for many diverse suppliers. Northrop Grumman’s participation in the Department of Defense (DoD) Mentor-Protégé program, which assists small businesses in competing for prime contracts and subcontracts by partnering with large companies, is an example of Gloria’s and her team’s efforts to enhance visibility and opportunities for small and diverse businesses. The AbilityOne program is another initiative that brings great pride to Northrop Grumman as it promotes employment and subcontracting opportunities to individuals who are blind or have other significant disabilities. Gloria also serves as Northrop Grumman’s liaison to government customers, associations and suppliers to ensure diverse suppliers receive the optimum opportunity to compete for subcontracts. Most recently, Northrop Grumman’s Global Supplier Diversity Program developed a Mentor-Protégé agreement with Digit All City, a small disadvantaged business located in Baltimore City, Maryland, to engage with Historically Black Colleges and Universities (HBCU’s) in Maryland. The purpose for the collaboration was to develop a training curriculum for inner city youth in cyber security for High School and College students. The training was designed to help prepare these inner-city students for the Department of Defense’s (DoD) 8570 Certification. Even though the training is an entry level certification for cyber security, it still provides the inner-city students with the critical 12-week training they will need to compete for DoD analysts positions. Northrop Grumman, in conjunction with Digit All City, Morgan State University and Coppin State University partnered on this program. There have been 12 students, 4 females and 8 males that have completed the initial training, receiving their A+ Certification. The Network+ and Security+ Certifications are scheduled to begin in August at no cost to the students. Gloria pointed out that one student from Morgan State University served as an ambassador for effectively recruiting other students to apply. 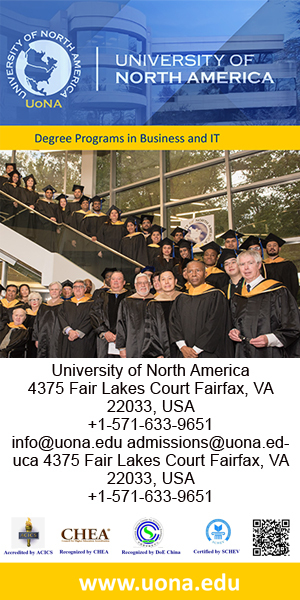 These classes are held on Friday evenings and Saturday mornings to accommodate the student’s schedule. Gloria said this is an innovative program, including a major prime contractor, a small diverse business and a Historically Black College. More women will be encouraged to participate as the program moves forward. Being proactive instead of reactive is equally important. It means anticipating problems before they occur and seeking solutions to remedy such problems. Taking a proactive approach, Gloria and her team meet with suppliers for information sessions, not only to share information, but to listen. Northrop Grumman hosts targeted outreach sessions – ranging from providing information on government requirements to simply directing suppliers to the Small Business Administration (SBA), or the Procurement Technical Assistance Centers (PTAC’s) for support with questions they may have regarding the operation of their businesses. Sustaining viable relationships is just as important. Gloria and her team are actively involved with various associations and organizations that are in alignment with Northrop Grumman’s core mission. The Global Supplier Diversity Program is embedded in the Northrop Grumman culture and it is a business imperative that is supported at the highest level of the company. In terms of contracting opportunities with diverse suppliers, Northrop Grumman embraces supplier diversity and inclusion and views it as a business imperative. As a company, Northrop Grumman has exceeded the 23 percent U.S. government small business statutory goal for more than 11 consecutive years, including government fiscal year 2016. Numerous organizations have recognized the company with awards for the success of its global supplier diversity initiatives. The CEO’s commitment to supplier diversity is articulated as part of the company’s overall diversity messaging, and is communicated broadly through an annual policy statement. From Employee Resource Groups (ERGs) to the Small Business Liaison Officers (SBLOs) the supplier diversity message is clear and consistent. The supplier outreach program is designed to meet the needs of small and diverse suppliers. Whether it is an outreach session, a small business council meeting, or an opportunity to sit down one-on-one for a conversation, Gloria and her team are committed to being of service. Northrop Grumman is a leading global security company that provides innovative systems and solutions. 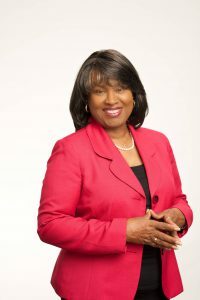 Gloria Pualani serves as the Corporate Director for the Global Supplier Diversity Program and plays a major role in connecting small and diverse businesses interested in doing business with Northrop Grumman with the company’s procurement and technical organizations. For more information on Northrop Grumman and the Global Supplier Diversity Program, please visit the website at www.northgrumman.com/suppliers .